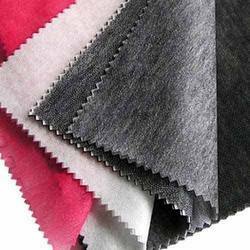 Our company is also deals in woven fusible which is manufactured from high quality raw material and available in various colours as per the client’s specifications. 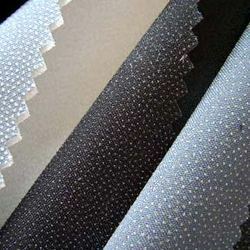 With high bonding strength and controlled shrinkage these are highly durable fabrics with a long serving life. These fabrics are used for retaining the softness of fabrics and shapes of garments. Our woven fusible includes fused, basic, geo fabric, and many more. There are some features are it is soft, durable, shrink resistance. Our extensive array of non woven and woven interlining is available in various colors as per the client’s specifications. With high bonding strength and controlled shrinkage these are highly durable fabrics with a long serving life. These fabrics are used for retaining the softness of fabrics and shapes of garments. Our interlinings include fused, basic, geo fabric, and many more. Our extensive array of non woven and woven interlining is manufactured from quality raw material and is available in various colors as per the client’s specifications. With high bonding strength and controlled shrinkage these are highly durable fabrics with a long serving life. These fabrics are used for retaining the softness of fabrics and shapes of garments. Our interlinings include fused, basic, geo fabric, and many more. Looking for Woven Fusibles ?